We’re Here to Help. Call 628 206 8000 . 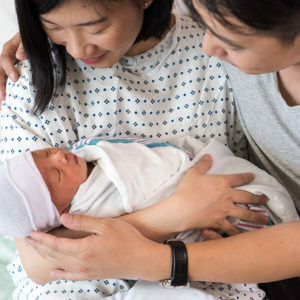 The Family Birth Center at Zuckerberg San Francisco General is a welcoming place that embraces all cultures and families. We offer care in over 20 languages. 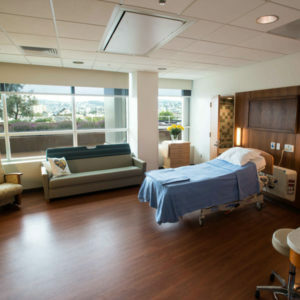 The Family Birth Center at Zuckerberg San Francisco General is here to help you have the birth you want. We allow family members and close friends to be present through the entire birth. All of our new birth center rooms are private, big, warm, and welcoming. A perfect place to begin bonding with your baby. 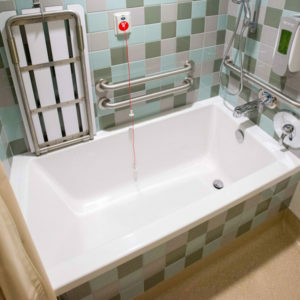 Every labor and delivery room at the Family Birth Center has its own private bath with a big deep tub for you to labor or relax. It’s important to feel comfortable where your baby will be born, so we invite you to come see us and take a tour of the Family Birth Center. All of our staff physicians are faculty members of University of California San Francisco (UCSF). You and your baby can count on having the safest birth. The midwives in our unique 24-hour midwifery service are here to help you throughout your labor and delivery. Our nurses are trained specially to support you and more than 20 languages are spoken at the Family Birth Center. 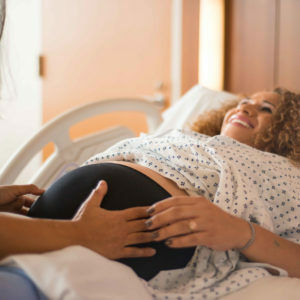 Our unique 24-hour midwifery service is here to help you throughout your labor and delivery. Working with our doctors, these highly skilled nurse midwives are experts in supporting you to have a normal childbirth, and will monitor you for any complications. All of our staff physicians are faculty members of UCSF. UCSF is a globally recognized leader in healthcare. You and your baby can count on getting the safest birthing experience. A doula is a caring person who you can turn to for support at anytime during birth. 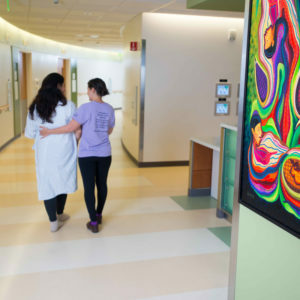 If you choose, a volunteer doula can assist you and your family during your stay at the Family Birth Center at Zuckerberg San Francisco General. As a certified Baby Friendly Hospital, we are a recognized leader in breastfeeding support. Within the first hour after birth, we’re there to help you start breastfeeding your baby. After you take your baby home, we can also provide more counseling and instruction. Families are welcome, during labor, delivery and after your baby is born. Overnight stays are encouraged at the Family Birth Center. 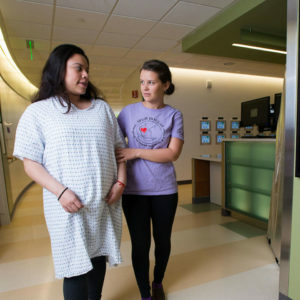 Moms-to-be can get complete prenatal care at Zuckerberg San Francisco General. This includes help with proper diet, prenatal exams, ultrasounds, social work services, testing, childbirth education, support group programs and breastfeeding support. All prenatal services are offered in more than 20 languages and respect the cultural diversity of our patients. Our Main Campus is served by Muni routes 9, 10, 33, 49, and 90. The closest BART stop is the 24th Street Mission station. Free shuttle to UCSF locations in the city, including our Main Campus. Free shuttle to the 24th Street Mission BART station during peak commute times. Enter hospital campus driveway and turn right into the surface lot. Enter from 24th Street (during the day) and 23rd Street (in the evening). Zuckerberg San Francisco General Hospital and Trauma Center provides world-class care for the people of San Francisco, regardless of ability to pay or immigration status. The SF Health Network is a community of top-rated clinics, hospitals, and programs including ZSFG, Laguna Honda, and community clinics across San Francisco.